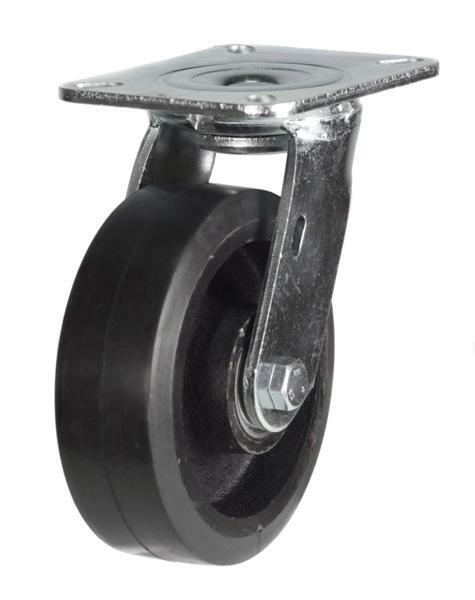 Rubber tyred castors are suitable for use on most floors. They are smooth running castors and have a small amount of shock absorbing. These castors are available with metal or plastic centres. Elasticated rubber castors will carry more load than traditional rubber castors.